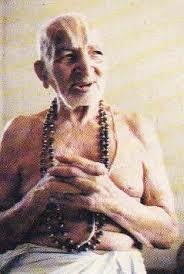 Sri T. Krishnamacharya lived 101 years. He was the teacher, the root, of all modern yoga. His students‘ different yoga practices reveal how Krishnamacharya’s yoga reflected his own coursework from the University of Life. Sri T. Krishnamacharya’s teachings were not theoretical, nor solely based upon his years meditating in a Tibetan cave. Like modern, professionals, he had a full, family life, studied at university, and experienced the highs and lows, the dedication and the sacrifice, of applying his philosophies while balancing his spiritual life with his family responsibilities. In 1950, after running the royal, yoga school for twenty years, the 60-year old Krishnamacharya found himself furloughed. India’s independence shut the doors of the Maharaja’s palace. Krishnamacharya, the husband and father, had to find a new way to support his three sons and three daughters. As the saying goes, God doesn’t give us more than we can handle. 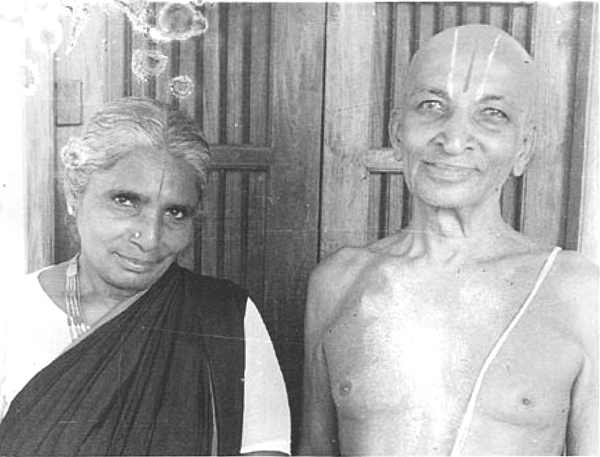 Krishnamacharya uprooted his teenage children from their childhood home, the palace-city of Mysore, and moved 500 kilometers away to Chennai on India’s eastern coast. TKV Desikachar, his second son, was twelve years old. Krishnamacharya, a Sanskrit and Vedic scholar, found a teaching job at Vivekananda College and began accepting private, yoga students. Unlike the young, healthy royals in Mysore, these students came from all walks of life with different abilities and with physical disabilities. Administering Ayurvedic medicine and teaching yoga, Krishnamacharya’s Yoga continued developing into a more individual, healing type of practice. He taught the key, yogic principle was Patanjali’s 16th sutra from Chapter II. Translation: The painful effects that are likely to occur should be anticipated and avoided. Whether or not he anticipated the struggles he might face teaching and helping thousands of people from all over the world, I don’t know. But, just like yoga teachers today, he was unable to avoid the financial challenges householder yogis face. That lesson must have been evident to his son, TKV Desikachar, who rejected his father’s yoga and went to university to study engineering. Desikachar told the story of how, after university, he changed his mind when he witnessed a wealthy, foreign woman, cured by his father’s insomnia treatment, give the great yogi an exuberant hug. In 1961, TKV Desikachar realized his father knew something he could never learn in any university. 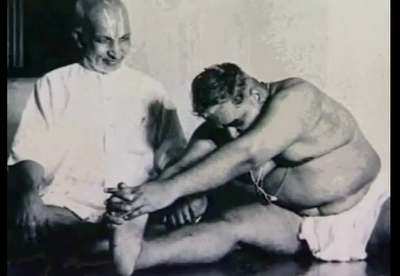 He begged Sri T. Krishnamacharya to teach him. And once again, another yogic branch began to spread its tendrils out into the world. Adaption Yoga helps to support healing, reduce symptoms, manage illness, and maintain health. Asana and pranayama are practiced at a slower pace than Ashtanga and in different vinyasas than Iyengar yoga. Adaption Yoga techniques are often called Viniyoga, therapeutic yoga or yoga for healing. TKV Desikachar is the second son and was a student of the legendary, Yoga master, T Krishnamacharya who was one of the most respected Yoga teachers and healers of our time. Krishnamacharya was a renowned expert in the six, Indian philosophical schools and other Indian healing and teaching traditions. Over the course of his thirty years of study with his teacher, Mr. Desikachar learned the complete practice and application of the tools of Yoga, as well as the classical Yoga texts, including Yoga Sutras of Patanjali, Yoga Rahasya of Nathamuni, Yoga Yajnavalkya Samhita, HathaYoga Pradipika, Siva Samhita, Gheranda Samhita and many others. He also studied Vedanta Philosophy, Ayurveda, Sanskrit, and Mimamsa with his father. Mr. Desikachar is the author of several chanting CDs and books on Yoga and allied subjects, including: The Heart of Yoga, Health Healing and Beyond, and Reflections on the Yoga Sutras of Patanjali. Turning 75 in 2013, he lives in Chennai, India with his family. From HealingYoga.org a non-profit organization in San Francisco.